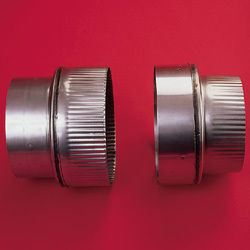 Reducers and Increasers allow you to connect pipe of different diameters. Reducers have the crimp (male end) on the large end. Increasers have the crimp on the small end. Browse these categories under "304-Alloy Reducers & Increasers"